Bailey and her team are Heaven Sent! We cannot express how much of a blessing Bailey and her team was to my husband and I. From the beginning Bailey was so awesome. We clicked instantly and she understood how to make our dream wedding a reality. We had a HUGE wedding, over 300 guests and a bridal party of about 40 (I know, crazy) but Bailey made sure we were on schedule the ENTIRE time and that everything ran smoothly. There were no mishaps and our guests were so amazed at how perfect the day is. Honestly, I still have no words! Bailey is the queen of execution. I recommend Bailey for any event (big or small) She is professional, knowledgeable about the industry and mostly importantly puts her clients first. She is also a lot of fun and hilarious. We gained a friend for a lifetime! Your wedding was a complete dream and from day one when I met you both I couldn't wait for your big day. The love between the two of you is astounding. I so look forward to our relationship moving forward. Thank you again so much for trusting me with such a wonderful day in both of your lives. 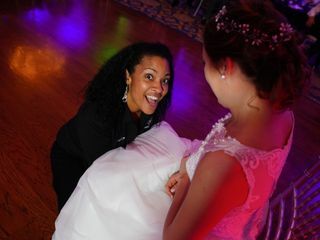 Bailey’s services and experience brought so much value to me in planning my daughter’s sweet sixteen. She executed our wishes and left nothing to chance. I didn’t have to worry about anything the day of. I couldn’t have done this without her. My event planner for life!! This was an incredibly fun event to work on with you! I am so grateful for your kind words and look forward to more than just working on events with you in the future! Thank you for trusting me with your very special day! We are looking forward to her wedding lol!! If you're looking for a Planner/Day of Coordinator you can stop searching. Bailey and her team was absolutely amazing! We couldn't have imagined our special day to go better. Bailey was great with helping make sure everything was set for the big day, was always available to answer questions, and her day of coordinator team were incredible. They really stated on top of everything and made sure the day went smoothly. Couldn't be more happier! 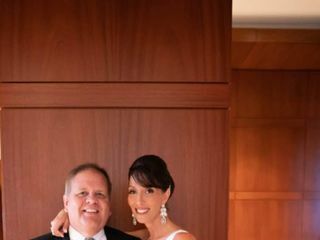 We are so thankful you trusted us to help you and Laurie with your very special day. My team was so enamored by how much love was in the room for your special day and how much fun the guests had! You guys did this day the perfect way and we couldn't have been more happy to assist! I live in Canada and got married in Florida, and I was so worried about not being able to be there and see everything so I could visualize it but Bailey was amazing about it. I honestly don't know much about weddings, I would just tell Bailey the general idea of what I wanted and she would take the lead and make it a reality. I trusted her completely in all of the decisions and she didn't disappoint me. She made sure to listen what I wanted and get it exactly that way and she was just a genuinely kind person. All the guests loved the wedding as well! My day was perfect thanks to her so just hire her, you won't regret it! 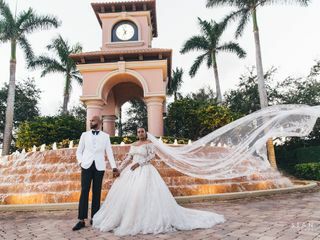 Your wedding was an absolute dream! I am so grateful you trusted me with your vision and best day. Your family was incredible. I thank you so much. Amazing experience! Unfortunately, wedding planning was over and after that i felt like i don't want to say good bye to Bailey! She is the BEST!!!! The wedding came out exactly as we wanted. Her team is very professional, everything was arranged perfectly! She helped with everything, all 100 millions questions were solved in one moment! So, if you are looking for the planner, she is the best option you have! She will take away your headache and make your wedding dream come true! This truly was one of the BEST DAYS EVER! We are so honored you trusted us with such an important day in your lives. Thank you again so much for your patience and trust. Congratulations on finding the one! Bailey Smith Events was amazing, when I say she went above and beyond to help me have my special day, she really did. Thank you Bailey r the memories. Where do I start with how much of a lifesaver Bailey and her team are? My mother hired Bailey about 3 weeks into planning my wedding when we realized we had no idea what we were doing and how tough working with a tight budget was. Bailey took the reigns and helped us tremendously with the planning process, keeping us organized and on track. Honestly, throughout the process I was never stressed. (Only when our headcount almost doubled, our fault lol!) but Bailey made sure we had every detail sorted out for our guest count. It was a breezy planning process and this is coming from an artsy and miticulous bride who is all about details. Come the day of, let’s just say with our families we had too many chiefs and zero Indians. Bailey showed up and told everyone “unless you’re helping skip rocks” that’s when I knew I had nothing to worry about. Bailey is a take charge, no time to bs, business oriented mind and that is EXACTLY what you want on your day of. Not one single thing went wrong the day of. Everything was set up exactly how I invisioned it and we had an absolute blast! I cannot thank her and her assistant enough for all their hard work and effort in making our dream come true! I want to keep in touch with Bailey after our wedding because that’s how much we clicked! Would highly reccomend to anybody looking for a planner! Bailey is the best thing that ever happened on my wedding day. Our venue lost all of our info and food/drink choices 5 days before our wedding and Bailey was able to fix things up in a calm and timely matter. She made me feel secure on situations that were going on behind the scenes. If I were to get married again I would choose Bailey each and every time. She is the true definition of a wedding Angel ! I was a very detailed bride and took almost 3 years to plan the wedding. I hired Bailey at the very beginning and knew the moment I met her that we would work well together! I wanted to hire someone with wedding industry experience, knowledge, and connections; someone who could accept my perfectionism; someone who could provide real, honest feedback and suggestions; someone who could manage a large vendor list and difficult situations; and most importantly, someone who I would have fun with on my wedding day! After all, every part of the wedding process should be fun! I found all these things and more in Bailey! I am so glad that I had the opportunity to work with her and learn so much about the wedding industry. After such a long engagement, we've developed a great relationship that will last a lifetime! Bailey is a must have for any bride that wants to just enjoy the wedding day and let someone take care of all the details. I hired Bailey as a "Day of the wedding Coordinator" and she was amazing. Bailey focuses on all the details and carrying out your event like it is her own. She truly helped with every aspect of the wedding day, starting with checking on the vendors setting up, to sending the flower girls down the aisle, to forcing me to sit down and eat food! She was so hopeful and so on top of everything. I know I was able to just enjoy my day without worrying about anything because Bailey had it all covered. I will definitely use Bailey again for future events and recommend to 100%! Weddings by Bailey was an investment. Bailey and her team allowed me to have peace of mind, flawless execution and I was able to enjoy my own wedding. Thank you for all your help and hard work. You were always available when I needed you and addressed all my concerns. Bailey is the absolute best!!! From the start we knew she was the right wedding planner for us. She was very easy to talk to and just automatically understood our vision for our wedding. She helped ease the burden of wedding planning and made it a breeze for us to select vendors. She arranged appointments and all we had to do was show up and choose and afterward she negotiated great rates for us! She was so easily accessible and was truly a professional that got things done asap. 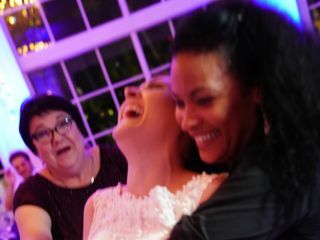 She was so much fun to work with and always making us laugh in the midst of anything crazy that happened during wedding planning. Bailey was the real MVP on the wedding day when my very long veil started blowing in the wind during my bridal entrance. The veil apparently got hitched behind a chair in the back aisle and I would have taken a tumble if I went one step further, but she dived into action, literally DIVED to save my entrance. She is the absolute best and will do everything in her means to make your wedding day the best day of your life. We love you so much Bailey!!! I absolutely love this photo!! And what a great surprise! Thank you both so much for the great review and for choosing our team to create your special day. You both are missed incredibly! Bailey is a perfectionist and that's what you want/need for a spectacular wedding experience. She's attentive, conscientious of her work, and she aims to keep the couple happy. I can honestly say that my wedding, May 20, 2017, was television/magazine worthy!!! Seriously, I'm not exaggerating in the least. My guests are still talking about how fabulous everything was. I'm so glad we hired Bailey! I'm equally as glad that Bailey introduced me to an A1 florist, DJ, and photographer. So If you're getting married and you want your day to be fantastic, hire Bailey! Happy Wedding Planning! Bailey and her team were awesome on our wedding date. She truly made sure that everything was perfect and dealt with all emergency situations! I felt confident letting her take care of last minute details and was able to relax and start enjoying the wedding. The communication, organization, and professionalism were incredible. I'm still getting compliments as to how organized and awesome the wedding was! Bailey rocks!!! ABSOLUTELY LOVE BAILEY!!!! She was our day-of-coordinator and I am so glad I went with her. She was referred to me through a mutual friend and what a great referral! Bailey is on-point! She is organized and gets things moving. On the day of the wedding, I didn't have anything to think about/worry about; Bailey took care of everything. She always quickly responded to every text and email and is so great to talk to and get along with. I was even wedding favor crazy and I needed my favors to go to each table in a specific order...Bailey made it happen. She made the day absolutely perfect and everything went so smoothly. I absolutely recommend you hire Bailey! You won't regret it!!! Bailey and her team were the day of coordinators for our wedding, but it really felt like so much more! We had a lot of details in our wedding and it felt very overwhelming in the beginning trying to make all of them come together. Not to mention, how would it all be executed on the day, when we weren't there to help setup?! Bailey put all my worries to rest! She answered all my questions immediately during the months before the wedding, had several meetings with us to discuss every detail and second of our day, and was always there just to give her professional opinion. On the day of the wedding, every detail was put together just as we imagined! It was like I was there to set it all up myself. Bailey and her team also kept us on schedule, coordinated all my vendors, organized my bridal party, and so many other things I couldn't even begin to list. 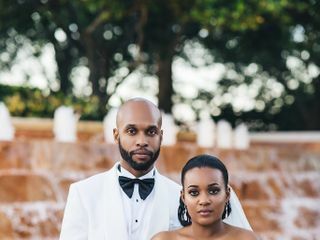 I truly got to be a worry free bride and just enjoy our day. It's no wonder every person who recommended her to me calls her one of their friends and not just their wedding planner. I can't thank her enough! Bailey was phenomenal! She knew what I needed and wanted before I even did. I absolutely recommend her to anyone, anytime. OMG!!!! Bailey is the ABSOLUTE BEST wedding planner EVER!!!! We had so many hopes and dreams for our wedding and she made all our wishes come true!! She was literally our Fairy Godmother!!! The whole year she helped my fiancé and I stay super organized and was very responsible about reminding us about deadlines and payment due dates with ample time to prepare for them. Also, she has a huge network of vendor options to choose from and is constantly adding more. 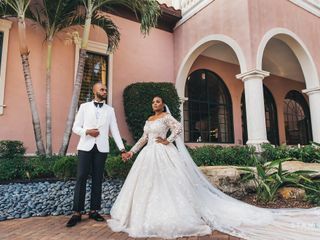 All her recommendations and advice proved to be extremely helpful and in the end served to create what our friends and family called a BEAUTIFUL wedding and an EPIC party!!! Oh and also, she did a great job helping us stick to our budget! Her excellent rapport with vendors allowed her to get us high quality products/services at affordable rates and there were even a couple vendors that were willing to throw in small freebies for us because Bailey was so awesome!! Honestly, my fiancé and I cannot thank her enough for all her hard work, her prompt responsiveness to our numerous phone calls, her willingness to accommodate our crazy schedules with late night skype sessions, and for just always being such a pleasure to work with!! If you're getting married, I HIGHLY, HIGHLY recommend hiring Bailey Smith and the whole Weddings By Bailey team because they will truly go above and beyond for you! I know they did for us!!! Bailey was absolutely exceptional from start to finish. We had a long two year engagement, and Bailey and her team have been perfection from the start. Every request, every dream, every inquiry was handled in a timely and professional manner. The amount of options given to us in every category were outstanding. Because of Bailey, we had a beautiful and smooth wedding. We really couldn't have done it without her. Would recommend her to everyone! Bailey was great throughout the entire wedding planning process. She took care of all of the stressful parts of planning a wedding and allowed me and my fiancé to actually enjoy every second of it. I felt comfortable asking her anything, at anytime. And Whenever there was an unexpected problem with a vender, she fixed it, like magic. She is absolutely incredable, and I would absolutely recommend her services. Bailey and her amazing team.. There are no words to describe how grateful i am to have had them helping me. She was always there to help, she never blew me off, always answered my questions even multiple times if i didn't understand. She talks to you like a person not a job. When something was happening with my venue she was quick and let me know asap. She made the last couple months of my planning amazing. My wedding went down without a hitch so i thought, and she said we'll keep it that way no need to fill you in on background stuff. I'm so grateful for Bailey! The absolute BEST wedding planner!! Could not have done this without Bailey! Not only did she make sure every detail turned out perfect but she also met all family members and friends! She even jumped in to teach us some line dances! Totally AMAZING!! Highly recommended! Bailey and her team did an exceptional job of helping to plan and execute my sons wedding. 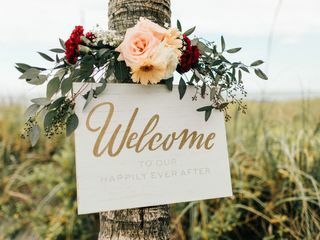 Bailey paid close attention to every detail of our Orthodox Jewish wedding and reception and even helped us save money by recommending her trusted vendors. The bride and groom as well as everyone in the wedding party felt taken care of. Bailey and her staff helped us truly enjoy our event with as little stress as possible. 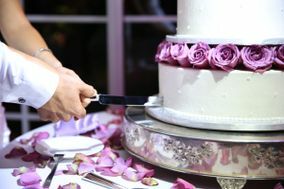 We highly recommend that you hire Weddings by Bailey to make your special day beautiful, stress less and enjoyable!